Why do the UK's construction leaders use Panthera? We are experts in each of our group’s disciplines. Our construction heritage and a combined management experience of over one hundred and fifty years means we can be trusted to excel on even the most challenging projects. Many of our clients engage with us early in the tender stage, they value the technical advice and breadth of knowledge from our management team. At Panthera, safety is paramount – not only the safety of our team on site, but also the safety of other trades on site with us as well as any members of the general public who may be affected by our operations. We have operated a health and safety system that is in full compliance to OHSAS 18001 since 2008, and this is an accreditation we hold with pride. And rightly so – in over half a million working hours we have had no serious accidents or injuries caused. We believe this is a true testament to our Safe Systems of Work, training programmes and safety monitoring procedures. We strive to provide our clients with a quality service throughout all stages of a project. Since 2008 we have operated within a UKAS ISO9001 management system, ensuring our systems and processes consistently meet current regulations. Our strict independent audit process also helps us to identify areas of improvement and help us commit to continually improving the service that we provide our clients. Our bespoke Integrated Management System is something we have invested heavily into, and it has enabled us to manage our entire business operations. The IMS is used for a numerous tasks – producing quotations, scheduling planned works and maintenance visits, as well as allocating labour and managing our fleet. One of the central functions of the IMS is Asset Tracking – using GPRS, we know the exact location of our plant, when it was installed, when it requires maintenance and when its hire period ends. This is something that has proved invaluable in the general managing of our on-site business operations. The IMS is also linked with our accounting software, streamlining and reducing the processes required to produce invoices and applications – the CRM also integrates seamlessly with the estimating function. 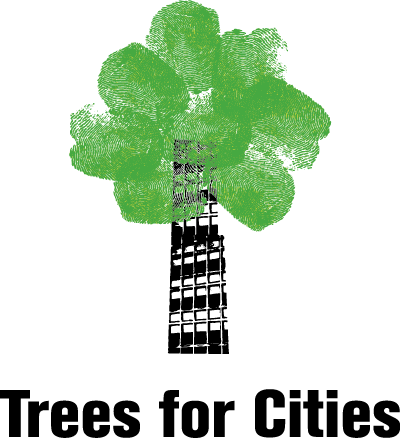 Panthera have proudly partnered with Trees for Cities, who work with us to plant a tree for every new Hoarding or Temporary Site Service contract we secure. We are currently working to promote this fantastic charity to all of our clients, with an aim to get as many of them on board for this worthy cause as possible so we can plant trees on their developments and the local area through community outreach and engagement projects. Our temporary site services are designed to reduce CO2 emissions and improve on our BREEAM scoring. Visit www.treesforcities.org/corporate-services to see how their work is improving community spaces across the UK’s cities. Benefit from a multi-service discount which increases as you use more of our services. With unrivalled industry accreditations and approvals, you are in safe hands. Site set-up services all managed and serviced with one central point of contact. The service we provide our customers is at the heart of of our business strategy. Our staff are highly experienced and knowledgeable in their respective fields.